Phelps Construction Group was selected by the Foundation as the construction manager during the early stages of the project and has played a vital role in the design development, working alongside the architect, FXFOWLE, in determining how to construct the museum most efficiently on the Island. 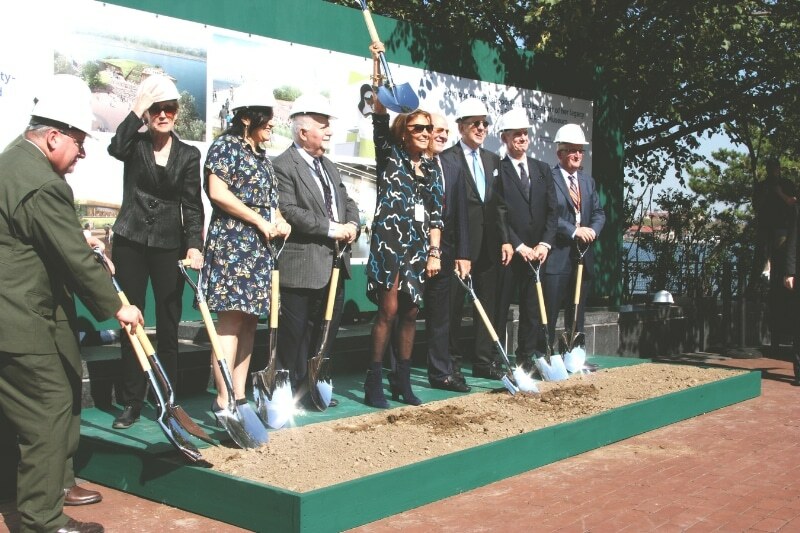 This sustainable building will be constructed with a first floor above the 500-year flood level and will be able to withstand hurricane force winds, which in the past have severely damaged both Liberty and Ellis Island. The exterior of the museum will feature an expansive green roof which will include vegetation native to the Island. The interior of the museum will feature exhibits created by ESI Design including an immersive theater, engagement gallery and an inspiration gallery. Additionally, the museum will house the original Statue of Liberty torch, which Phelps Construction Group will be moving from its current location in the Statue's base to the new museum. When complete, the museum will give millions of visitors the opportunity to learn about the Statue of Liberty's history, influence, and legacy through interactive displays and artifacts including the Statue's original torch. The museum is expected to be completed in 2019. "We are very proud to have been chosen by The Statue of Liberty-Ellis Island Foundation for this project and are honored to take on the responsibility of building what will surely become a national landmark," said Douglas Phelps, President of Phelps Construction Group.